St. Patrick's wore an Evolution '85 Team Exclusive for their nationally televised game against Winter Park. St. Patrick's High School of Elizabeth, New Jersey is currently one of the nation's powerhouse basketball teams. Ranked #2 overall, the Celtics got to showcase their talents in the national spotlight as they took on the nation's top-rated player Austin Rivers and Winter Park for ESPN2's Rise High School Basketball Showcase. Despite Rivers' second-half tear and 38-point outburst, St. Pat's was able to turn up the defensive intensity late and edge Winter Park 75-66. 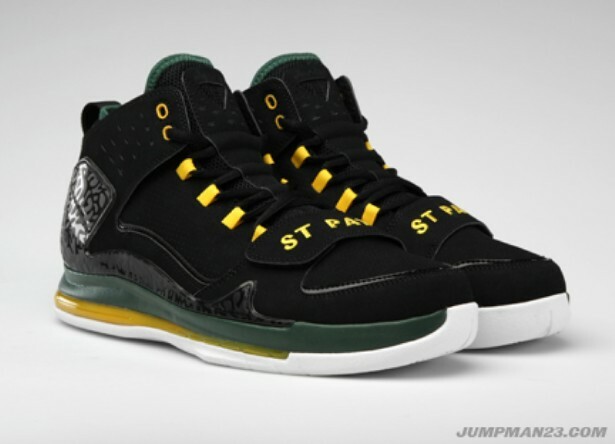 St. Patrick's High also happens to be a Jordan Brand school and is regularly fitted with custom gear and exclusive footwear. The latest sneaker the brand hooked up the Celtics with is the newly released Evolution '85, which is based on the concept of the Air Jordan I being re-released today with modern technology and design cues. 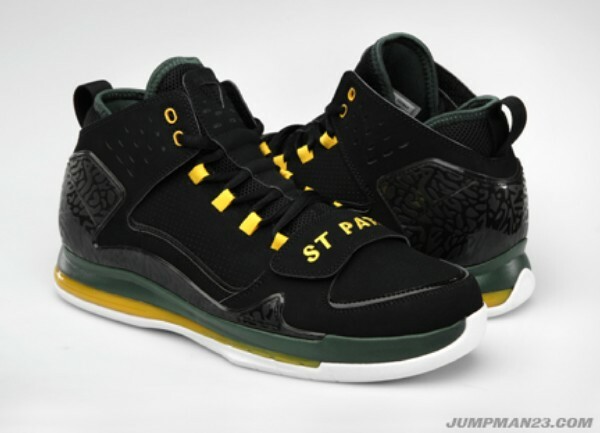 The St. Pat's Evolution '85 features a black nubuck upper with tonal elephant print piecing along the heel and base. Yellow works the lace loops and team embroidery on the toe strap. Hits of dark green appear on the outer rim of the tongue and ankle, as well as a large section of the midsole. Yellow finishes the midsole, which sits atop a white rubber outsole. 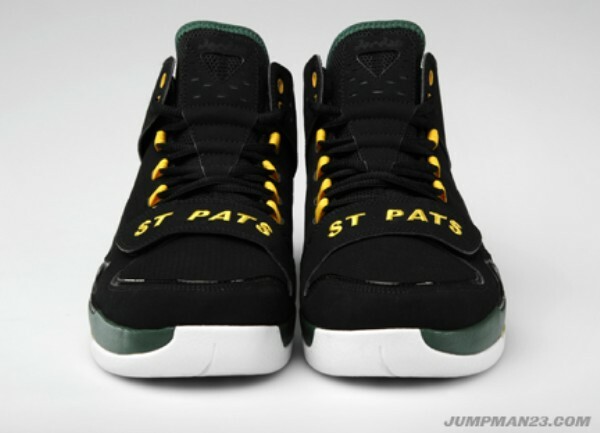 More photos of the St. Pat's Exclusive below.